In France, a country that awards its intellectuals the status other countries give their rock stars, Michel Foucault was part of a glittering generation of thinkers, one which also included Sartre, de Beauvoir and Deleuze. One of the great intellectual heroes of the twentieth century, Foucault was a man whose passion and reason were at the service of nearly every progressive cause of his time. From law and order, to mental health, to power and knowledge, he spearheaded public awareness of the dynamics that hold us all in thrall to a few powerful ideologies and interests. 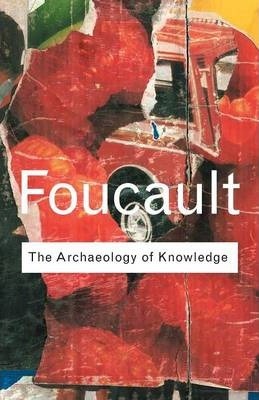 Arguably his finest work, Archaeology of Knowledge is a challenging but fantastically rewarding introduction to his ideas. Michel Foucault (1926-84). Celebrated French thinker and activist who challenged people's assumptions about care of the mentally ill, gay rights, prisons, the police and welfare.